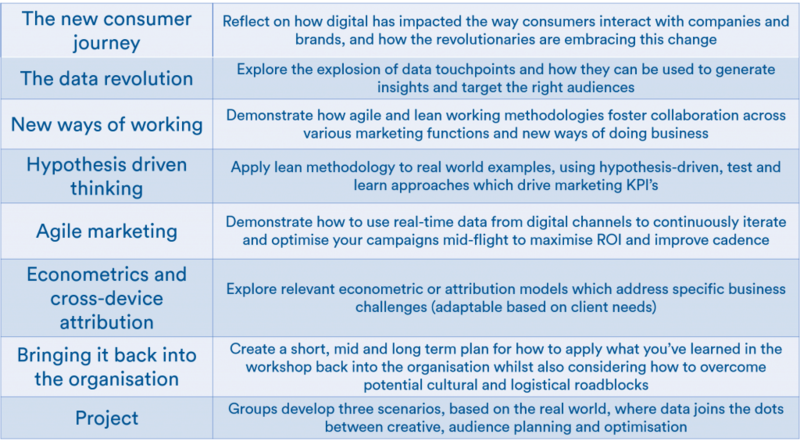 Anyone looking to understand the possibIlities, jargon, techniques and challenges of introducing data capability into their organisation. Teams developing data and/or analytics teams in an existing business. 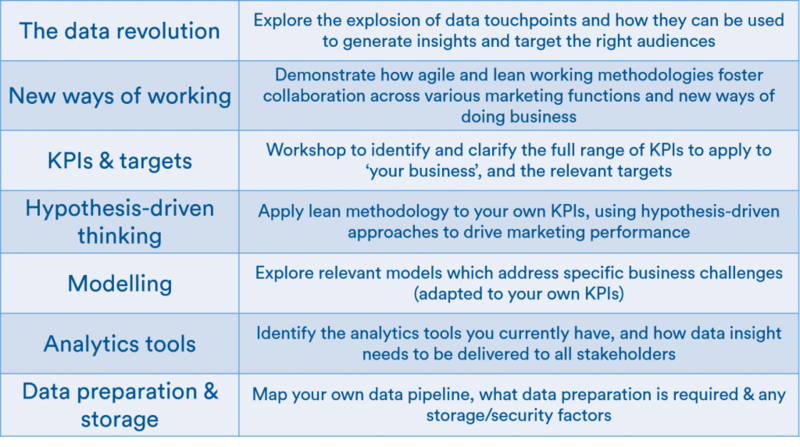 Anyone looking to transform their existing analytics team into an agile organisation. A one day face-to-face workshop . Participants complete a project together that runs through the programme, to support and embed techniques.